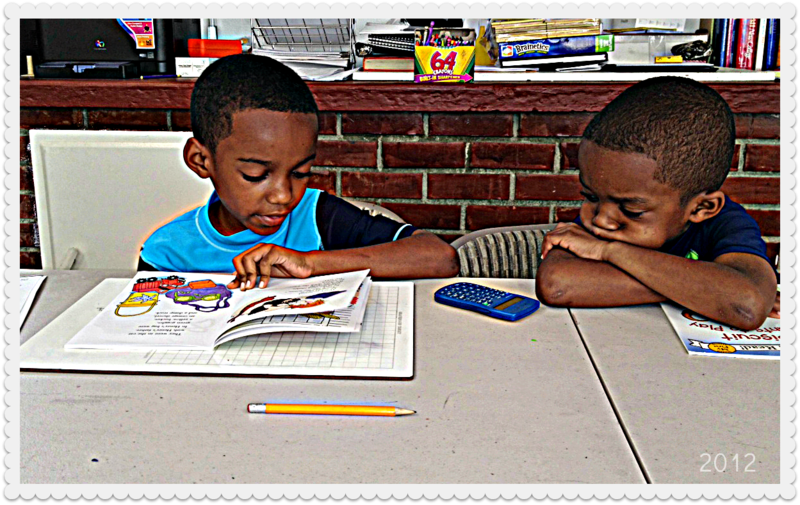 Reflections of a Grady Doctor: Camp PaPa Postcard Classics: Reading is Fundamental. 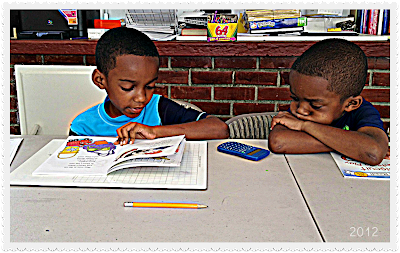 Camp PaPa Postcard Classics: Reading is Fundamental. Every morning when we get up here, PaPa makes us do some book-reading. Every morning no matter what. Before swimming, TV or any 'lectronics. Isaiah can read chapter books and today it a little bit felt like he was showing off. But that's okay because I am only going to the kinner-garten and he is going to the whole second-grade. So I don't care if he can read a chapter book. PaPa said I'm a good reader 'specially to be going to kinner-garten. But you know what? By the time I'm going to the whole second-grade I told PaPa that I'm gonna be able to read the Harry Potter books. All of them. PaPa says he thinks I can do it. I love how he's blowing on his little hand - my son does that! My son is going into second and is halfway through The Sorcerer's Stone - so tell your little guy that it's totally an attainable goal! I see the 64 crayon pack on the desk with the sharpener in the back. Loved Christmas because I would always get a new box. Do you send supplies or is Camp PaPa "all inclusive" juice boxes and all.? Those boys are so dang cute!